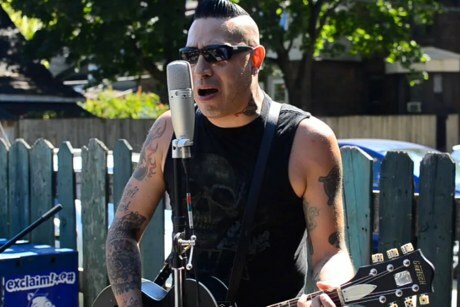 Montreal psychobilly punks the Brains have been bringing their high-energy shows around the world via relentless touring, and with good reason: last month saw the North American release of their latest album, The Monster Within. The guys stopped by our backyard to perform a quieter version of their song "Misery." The double bass, acoustic guitar and tiny drum kit give the song a more stripped-down feel while still showcasing the band's manic energy. Watch the performance below.